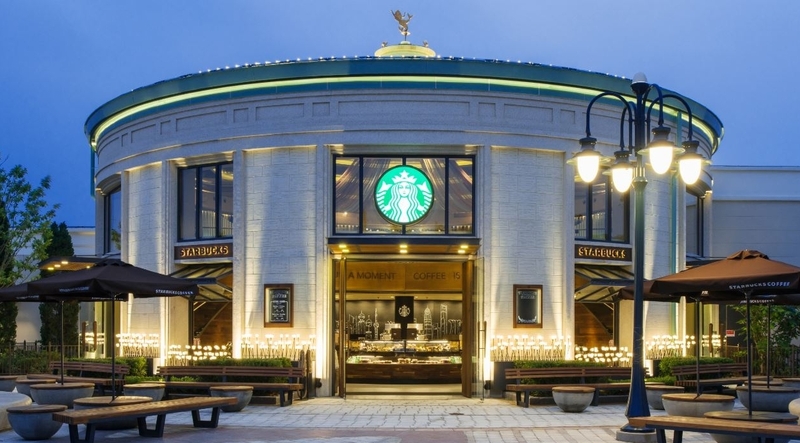 Our CEO and Founder Ashley Wong recently sat down with Daniel Whitney, Director of Global Talent Acquisition at Starbucks, to talk about the company’s recruiting strategy, candidate experience, and focus on diversity & inclusion. Ashley Wong: You came from Microsoft recruiting. What was it about Starbucks that attracted you to join their team? Daniel Whitney: There are a lot of companies that are out there, but when I weigh them, it’s not only how viable is the company and how interesting are the products, but who are they as a responsible corporate citizen? We were one of the first retail companies to offer full-time benefits to our employees years and years ago when nobody was doing that. If you’re a barista working 20 hours a week, the company will pay for a 4-year-education for you. We said we’d hire 10,000 military veterans in a four-year period of time and we did it in 2 and a half. Now we’re saying 10,000 was too small, we’re going to hire 25,000. We said we want to go out and hire 10,000 opportunity youth. We hired over 40,000 in the first year of doing that. It’s all of that on top of being a big, cool, recognizable company. AW: What are some of the things you look for in hiring that is specific to Starbucks and its culture? DW: Obviously anytime you’re filling a role, you’re asking “Does the person have the skillset to do the job?” I’d say, much more so than other companies that I’ve worked for, the cultural fit is very, very important here. If, through the interview process, it’s clear you’re the type of person that delivers results, but you do it by leaving a trail of dead bodies in your wake, you’re probably not gonna get hired here. [Laughs] It’s people that are very warm, very collaborative, that are open to asking for help. And that’s checked for at literally every level. Even the executive recruiting team that I have -- the number one thing we’re screening for is that culture fit. "People kept coming up to us asking, 'Oh, are you guys serving coffee?' And we’re like, 'Nope, we’re here to hire some people.'" AW: Starbucks isn’t necessarily known as a tech company. How has recruitment been for technical talent and what are some strategies for hiring engineers, product managers, etc? DW: Exactly, and candidly, that’s why we chose Gemnote originally. There’s a lot of other options that were out there, but the fact that you approached an older problem with a technology solution was really why we initially went with you. AW: Thanks, Daniel. That’s very encouraging for us. What do you think the biggest challenge is with recruiting top talent in the industry overall, and how is Starbucks tackling that problem? DW: I would say right now, there are a lot of companies out there that are doing just crazy stuff from a compensation standpoint. For us, being the majority of what we sell are $5 cups of coffee; there’s not as much margin that’s in there, so it’s hard for us to go pure dollars-for-dollars. We are selling what we represent as a company: our culture. And as a comparison for me: [at past companies], I was working 80 to 90 hours a week, and that’s basically all that I did. Here, I have my day job, and it’s more than 40 hours, but it’s very manageable and it allows me -- and it’s almost encouraged-- to be part of the community and have that balance as well. "The sheer volume of people that list [Gemnote] as being one of the more magical moments of the whole process is very, very high." AW: Are you interested in what candidates are doing outside of work? What they’re learning and how they’re impacting the community? Do you consider all of that in hiring at Starbucks? DW: Yeah, I would. I would more here than at other places just because being active members in the community is such a core piece of what we do. So that demonstrates that they have balance and that they are giving back. That would definitely score extra points with me over someone who didn’t. I mean, if I looked at someone’s resume and I didn’t see that on there, it wouldn’t preclude me from talking to them. I would just be basing it purely off of their experience. AW: Moving onto candidate experience -- what are some ways you ensure that candidates have a great experience with Starbucks? DW: I’ll say we’re not where we want to be across the board. But we’ve highlighted all of the times where the candidate experience can be either positively or negatively impacted, and ask ‘How can we take each one of those pieces and essentially step up that part?’ Gemnote was obviously a piece of that. 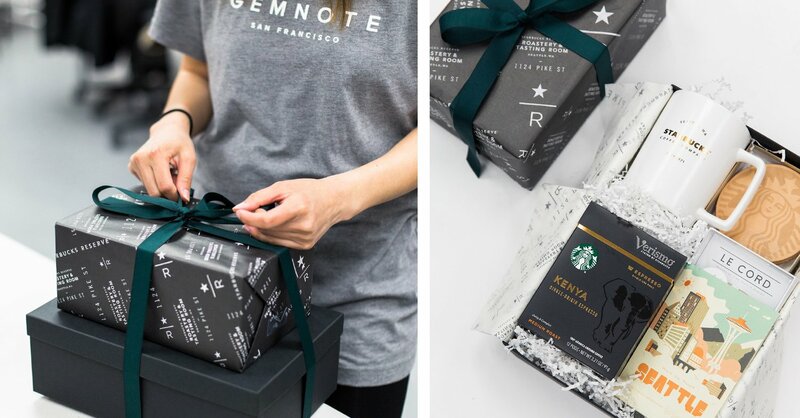 With the previous gifting service we had, we felt they missed in a number of different ways that Gemnote hit on. We’ll also do coffee tastings and tea tastings, we’ll take someone to visit the roastery. We’ll take them to Pike Place Market. We try to truly weave as much of who we are into the interview day as possible. AW: We’ve talked to your team before and it’s been almost 100% positive feedback with the candidate gifts. Are there any other metrics you guys use to show that it has a positive impact on the employer brand and candidate experience? "At the corporate level, if I was giving us a report card, I’d say it would be an ‘incomplete’...We’ll be trying some interesting and creative ways of solving the problem that everyone struggles with." AW: That’s really our goal: to help companies with these magical moments whether that’s with candidates, employees or clients. Diversity and inclusion (D&I) is a big topic in Silicon Valley right now. We see companies really focusing on forming diverse teams, more now than ever before. How is Starbucks implementing more recruiting initiatives around that? At the corporate level, if I was giving us a report card, I’d say it would be an ‘incomplete’. It’s something I think you’ll see progressively more and more that we’ll be trying some interesting and creative ways of solving the problem that everyone struggles with. "Always be recruiting even when you don’t have jobs open." AW: I love that you’re opening stores in those areas. Paying for 4-year education. It’s really inspiring. Why don’t more people know about this? We go to Starbucks almost everyday and we had no idea! DW: If there’s anything we’re really terrible at doing, it’s telling our story. Like people who work here, we all know the story. But it would almost be counter-our-culture to kind of be announcing it to the world too much. So it’s one of those things we’re all super proud of, and we wish that more people knew, but we’re maybe a little shy with how we put it out there. AW: For companies like ours that are growing and developing their recruitment strategy, what are some tips you can give to startups who are recruiting and growing their team? DW: I would say, be genuine, be authentic and be as creative as possible. Like, if you ever read a job description that I’ve posted for one of my roles, it doesn’t read like a corporate boilerplate-type of job description. But then if I’m proactively going after people, I make sure they know exactly why I’m interested in them. So I personalize every note to anybody that I reach out to. But I would also say--and this is a strategy that takes a little bit of sticktoitiveness to do--but always be recruiting even when you don’t have jobs open. What that leads to is you get to know a ton of people, and the more people you talk to, obviously the easier it is to make a hiring decision. 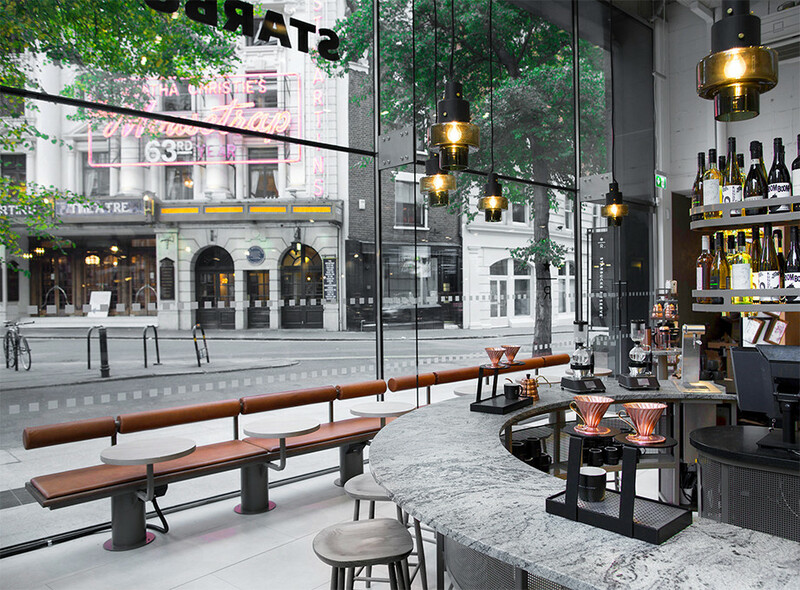 To find out more about openings at Starbucks, visit their Careers page.